This adorable angled liner brush will make the most professional lines to play-up your eyes. Its elegantly crafted bristles feature an angled shape for maximum control and crisp results. 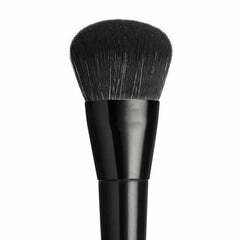 You may also use the brush to shade and shape your brows for a more refined and dramatic look.